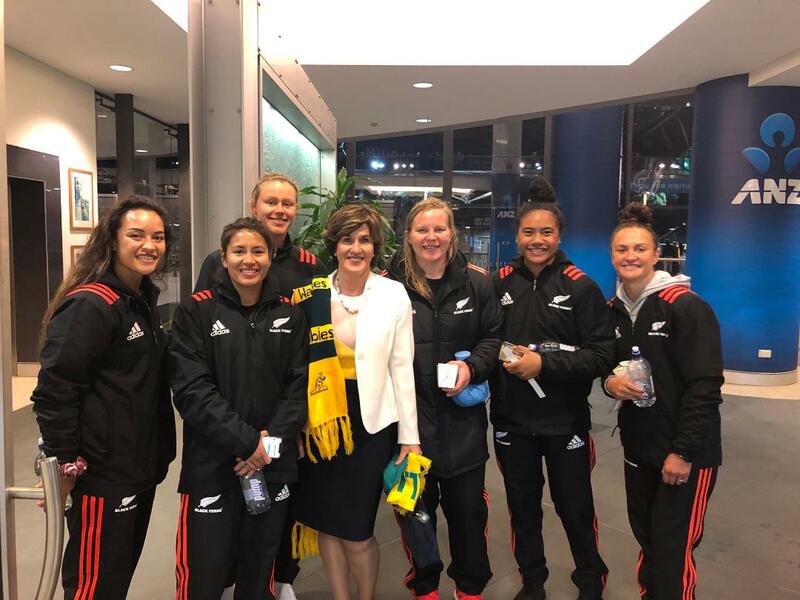 A world record attendance for the Wallaroos v Black Ferns women’s rugby international at Sydney’s ANZ Stadium on Saturday 18 August was the latest example of rapidly rising support for women’s sport across the nation, with NSW hosting a series of major events. “We stand proudly behind our record in NSW and Australia, with strong programs in place to create pathways and opportunities for women in sport,” Ms Mcloughlin said. A crowd of 28,846 to witness the Australia v New Zealand women’s Test match on Bledisloe Cup day raised the previous attendance benchmark set by France and England during the Six Nations event in Grenoble. Fans watched appreciatively as the world champion Black Ferns beat the Wallaroos 31-11 in a very competitive match. Ms McLoughlin said the successful rugby international at ANZ Stadium had followed hot on the heels of the hugely popular State of Origin women’s rugby league game in Sydney, record attendances for Matildas games in Sydney and Newcastle, and success in women’s rugby 7s, international cricket and WAFL. A former Telstra Business Woman of the Year and an experienced company director with a passion for sport and community engagement, Ms McLoughlin has been the chairman of Venues NSW since June 2016. A NSW Government entity, Venues NSW is the owner, coordinator and promoter of a portfolio of publicly-owned sports and entertainment venues. In Sydney, Venues NSW owns ANZ Stadium and, on its completion, the new Western Sydney Stadium at Parramatta. In the Illawarra, it owns WIN Sports and Entertainment Centres. In the Hunter, Venues NSW owns McDonald Jones Stadium, and the Newcastle Entertainment Centre and Showground. “Our Venues NSW Board includes three of the country’s most successful business women and we are committed as a Board to the continued success of women’s sport in this country,” Ms McLoughlin said. 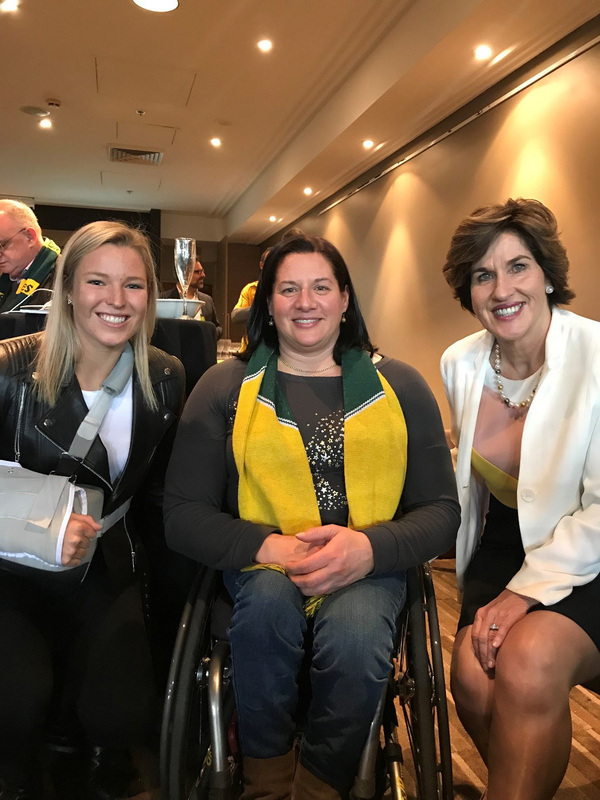 “There was a world record crowd at ANZ Stadium to witness a very competitive women’s rugby international played in great spirit, and we recently welcomed an Australian women’s football record 16,829 fans at Newcastle’s McDonald Jones Stadium to see our Westfield Matildas play Brazil. Ms McLoughlin said sport and recreation helped to build communities through social inclusion and a sense of connection. “I grew up in a small country town where team sport was the glue. I have seen how sport can bind families through shared experiences and achievements where being a member of a sports team, or a member of a sports team, or a member of a fan club, becomes a common point of connection. “Through participation, sport helps address anti-social behaviour and becomes an important part of education and defining values. Mc McLoughlin is also chairman and co-founder of the Minerva Network, an organisation set up specifically to support Australia’s rising female athletes, with experienced business women mentoring professional sports women as they navigate their challenges on and off the field. “We are women supporting women in the business of sport,” Ms McLoughlin said. “The mentors are a group of women leaders giving our time, energy, hearts and experience because we believe in our purpose, and our programs are really resonating with our athletes. Among the prominent Australian athletes working with the Minerva Network are Australian women’s cricket captain Rachael Haynes and teammate Alyssa Healy, rising football stars Ellie Carpenter and Jada Whyman, wheelchair racer Madison de Rozario, NSW State of Origin rugby league player Kezie Apps, Australian 7s rugby Olympic gold medallists Alicia Quirk, Emma Tonegato and Dominque Du Toit, track and field star Elana Withnall and netballer Sophie Garbin.